Last night I went to the Arkansas State University Theatre Department’s Twelve Angry Men. One of the Wesley Foundation students had been preparing for months for her role as juror number 6. Despite this being a classic of American drama, I had never seen or read the play, or seen the movie based upon it. At the beginning of the play the director announced that the rather large audience (especially for a Monday night) included members of the Arkansas Bar Association, the Pre-Law club, and various Political Science and Government classes from the university. I was taken aback at the impact of Reginald Rose’s masterpiece could have on a community in northeast Arkansas far away from New York City where the play is set. I was shocked by its timelessness and by how the themes of the 1954 drama speak to a world in turmoil today. Twelve Angry Men touches on issues around race, class, immigration status, and education. It shines light on an overlooked area of our society- the American justice system. It shows how easily we can judge another person without looking into their past, into their story, without believing that they are truly innocent until proven guilty. I went to this production knowing that across the country pastors, churches, and numerous other individuals were holding vigils and standing by candlelight to protest the execution of a female on Georgia’s death row, Kelly Gissendaner. Kelly was sentenced to death for plotting her husband’s murder in 1997. Since then according to numerous sources in the prison, she has become transformed through faith behind bars even gaining a certificate in theological education. Supporters are urging that her sentence be commuted to life in prison. I have signed the petition. I support the change in sentencing for Kelly. I also support the abolition of the death penalty. I can line out the arguments against the death penalty being unfairly distributed against minorities, the poor, and individuals with mental disabilities. I can tell you that for every ten people executed, one person is exonerated from death row. I can put forth evidence that capital punishment does not deter murder or other capital offenses. The most powerful reason to oppose the death penalty for me is the one stated in the UM Book of Discipline. “We believe the death penalty denies the power of Christ to redeem, restore, and transform all human beings.” As people of faith, it is important to support the sanctity of human life- whether that life is an unborn child or yes, a murderer. No one wants to be solely judged based upon the worst thing they’ve ever done. Thankfully, we serve a God who does not keep a running list of our short falls, indiscretions, or breaches in covenant. Yet, do we live in a way that we truly believe that? 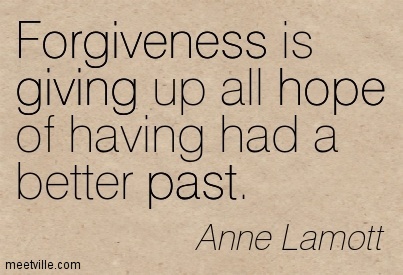 Anne Lamott describes forgiveness as “giving up all hope of having had a better past.” Everyone needs forgiveness and the opportunity for transformation. It is up to us, as a community, to stand up for the powerful work of transformation in the lives of individuals. It is up to us to speak out against the injustices of the justice system. We have to admit that there is a problem and begin looking toward solutions. Until then, I have got #kellyonmymind and a prayer in my heart that one day the world will fully reflect the love and hope of our Redeemer.